Recommendations from a BIS review regarding the future shape of NMO. 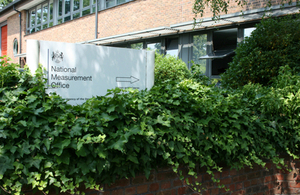 This is an update on developments stemming from a review of the National Measurement Office (NMO) by its sponsors in the Department for Business, Innovation and Skills (BIS), regarding the future shape of the Agency. BIS recently made recommendations on two of these three areas – subject to final decision by senior leadership in BIS. It was acknowledged that NMO’s enforcement capability was well respected by customers within BIS, other government departments, and indeed within the EU. The recommendation of the review is that Enforcement activities should continue to be delivered at national level through NMO, as a BIS body. Furthermore it was suggested that NMO enforcement could be promoted more widely across Whitehall to see if there are further opportunities for growth, to make the most of the centre of expertise that has been developed on the Teddington site. While working through the Future Operation of the National Physical Laboratory (NPL) project it became clear that in the future there will be important roles for Government to play as customer, owner, landlord and policy lead. It is important that these roles align well with science and innovation policy and with the Government’s industrial strategy. Therefore it is being recommended that these functions should in future reside within core BIS. More detailed work is needed to define the exact shape of the functions needed within Government in the new model. NMO, through our Change and Development and Programmes and Estates teams, will be working with BIS and NPL on a work stream that includes this more detailed work as well as other aspects of the future governance of NPL, as part of the wider NPL Future programme. Lastly, work covering the future shape of our regulation policy and certification functions has just started so (regretfully) we will have to wait for the outcomes on this final piece of the jigsaw. On the question of timing, BIS has indicated that a decision on the third area of work that NMO carries out will be made by September. The BIS review acknowledged the dedication and professionalism of staff who have made NMO the success it is today. All organisations go through change and NMO is no exception. By working with BIS, NPL and other partners, the Agency will be in the best possible position to help shape this change programme. Should you wish to discuss any of this, you can do so by contacting Richard Sanders, Acting Chief Executive, NMO.